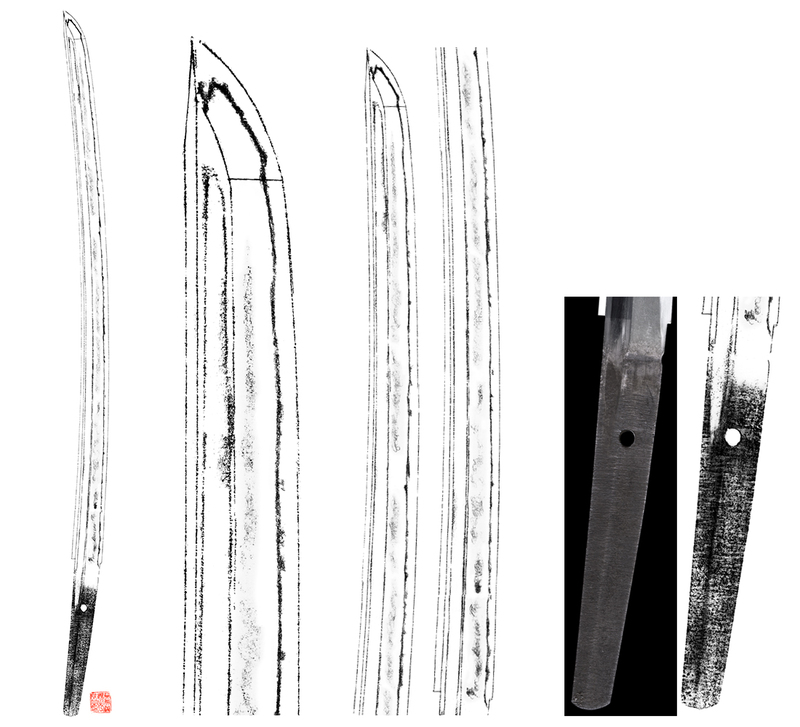 Jyo saku and regular saki)This sword belongs to Jo saku ranking. 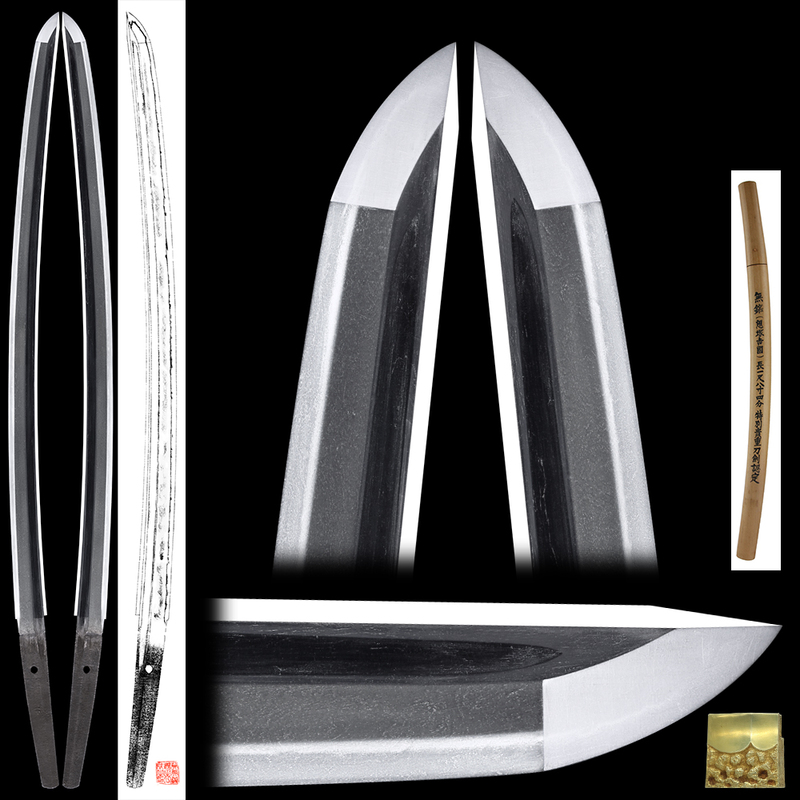 Blade length :　55.7　cm or 21.92 inches. Shape: Both sides have bohi. It is regular width and thickness. Chu-Kissaki work. Hamon: Nie Deki Suguha with Koashi and Nezumi ashi mixed. Boshi is round double ha style. There is Komidare Hamon mixed and round end Boshi. 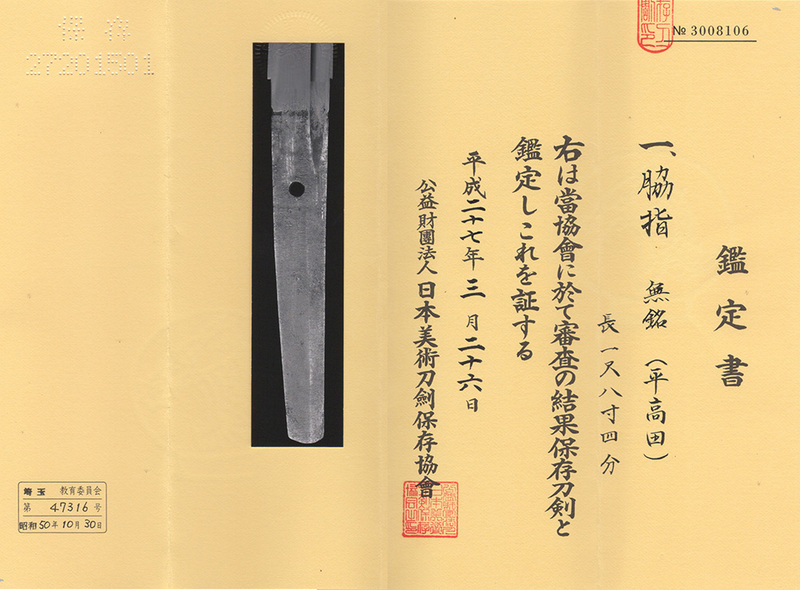 Special feature : This blade was attributed as Onizuka Yoshikuni in the past. 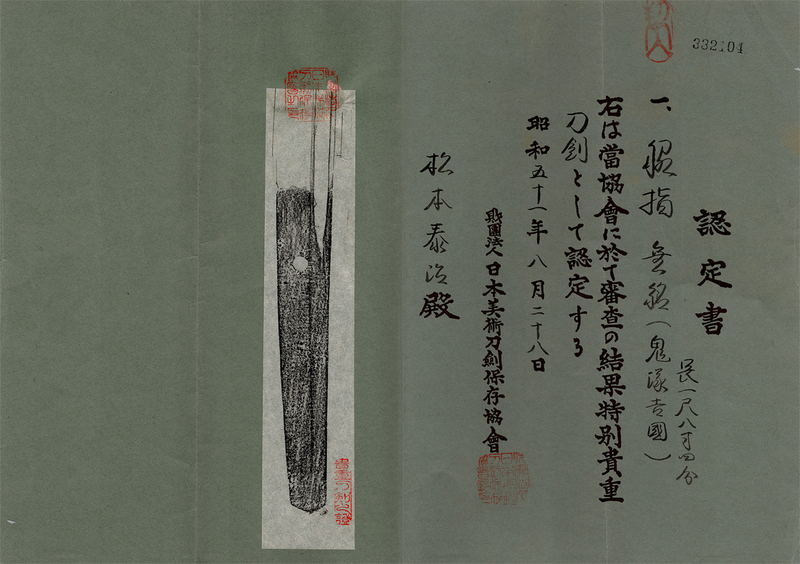 The recent Shinsa has attributed this sword as Taira Takada though. and the strong Jigane steel. 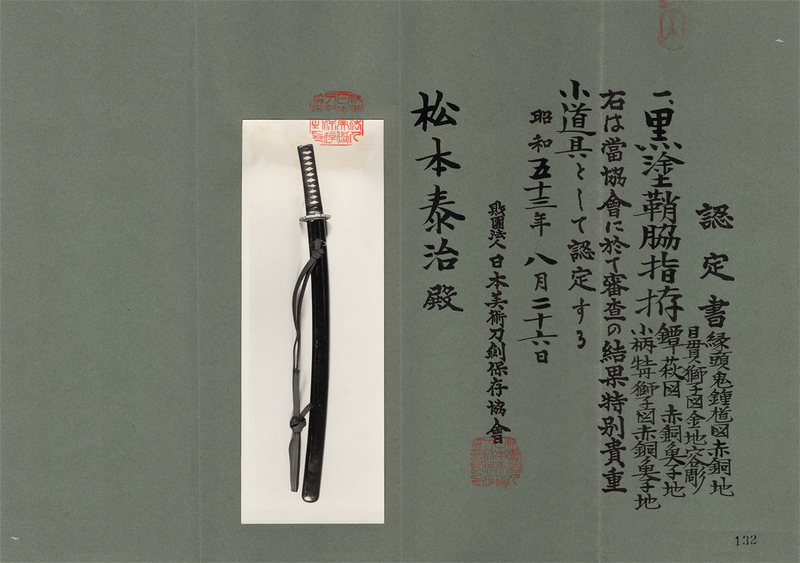 But anyhow, this katana has NBTHK Hozon paper. with Fuji or wisteria flower design engraved and inlaid with gold. Fuchi; SHakudo Ishimeji tsuba with wave and devil design engraved and inlaid with gold. Kashira; Nio motif is engraved and inlaid with gold. Menuki: Solid gold Shi-Shi dog deisgn engraved. and peony design engraved and inlaid with gold.